We followed our resident trainer and 2 time mother- Britt Finn through her pregnancy looking at training, energy, nutrition and how to get through those exciting stages of pregnancy and what to expect when you're expecting. The following 3 part blog is an insight into what you can expect of yourself and your training before, during and after pregnancy. Each stage is very different for every woman. I found I was quite well and suffered very little morning sickness in the first 12 weeks. This meant that I was able to continue my normal routine as much as possible. Once you find out you're pregnant there are several things to consider. Here is where I started, and it's a good place to start for you too if you are considering having a baby or have just found out you are already pregnant. Exercising and keeping fit in your pregnancy is totally achievable. For most women pregnancy is a normal healthy experience and for the most part we aren't sick or have a disease. There is no reason we can't continue with moderate exercise through most parts of our pregnancy. There are some really simple guidelines to follow to keep in optimum health and look after the health of the baby you are growing inside. 1. Start with getting cleared by your doctor. Let your doctor know what exercise you have been doing and for how long you have been doing it. Most gyms will ask for a letter from your GP stating you are healthy for moderate exercise. 2. Consider if you have been exercising prior to falling pregnant - That’s a yes from me... my regular routine of days I train can continue whilst following the next couple of tips. This will of course change as I progress though. Your normal routine doesn’t need to change much. If you have been exercising hard it is tougher on your body to stop and do nothing for 9 months. Regular and consistent moderate exercise adapted as you move through the months is idea in most instances. 3. Know the details... check you aren't carrying twins ( no not me - definitely only one on board :) and be aware of things like gestational diabetes and high/low blood pressure. Check with your GP. 4. Whilst continuing to exercise ensure that you are not doing anything dangerous with risks of falling or being hurt. In class I took out all jump and plyometric work out of my training. Its not because the exercise is a problem - it's the risk of falling that is what I am careful about. There are so many different options to keep my body toned and feeling good, there is no need to push boundaries. This next 9 months was about looking after me while I was building a baby. 5. In pregnancy you need to be aware of hydration levels- Drinking plenty of fluids! Who would have thought! The more water you drink the less likely you are to retain fluid. 6. Overheating is one of the most important things to be aware of during your 9 months -take a break in front of a fan if needed or cool yourself with a cold washer during classes or training. Wear loosely fitted cool clothing to allow lots of air ventilation. 7. Intensity- everybody has different levels of fitness. You want to work at a level that you can always maintain a conversation throughout your workout. I wasn’t just chatting to my trainers in class for fun ;) that’s how trainers gauge the intensity at which you should work. You don’t want to be completely exerted and out of breath whilst you are pregnant. Drop back and allow your breathing to stabilize if it is too high. It was definitely harder to sometimes get out of bed or feel like doing things but I found if it was important to me I'd find the energy to do it and I always know that it boosted my energy levels afterwards! Cravings... Yes! 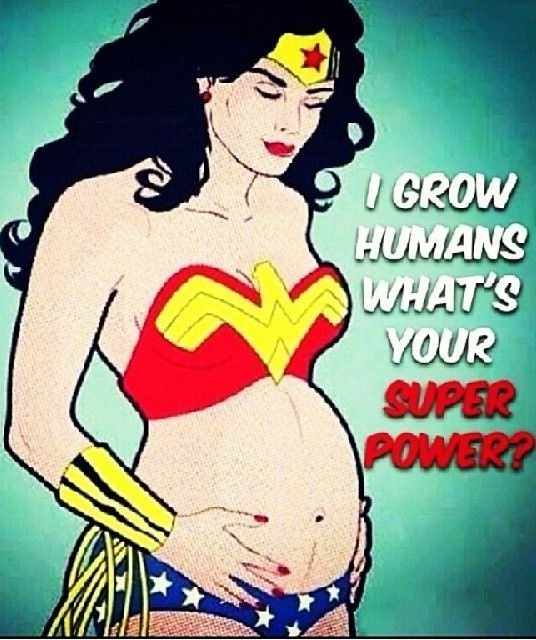 I definitely wanted different things in my pregnancy and I knew my body is also requiring more. What would usually fill me up didn’t quite anymore. I ate nutritionally balanced meals and didn’t deprived my body if I was feeling like a treat. Its all about balance. An important food and fuel factor was that I found I needed to eat more regularly to keep blood sugar levels in check and to feel better overall. Next article I'll be sharing more about the changes to the body and the modifications we need to make as we progress. During your pregnancy your aim is not to improve on your fitness but rather a way of staying active and healthy while minimising those creeping extra kilos! Please feel free if you are on your own pregnancy/ exercise journey to ask me questions or get help with alternatives as your pregnancy progresses. I’m happy to share my experiences and answer any of your queries. The first wedding invite to arrive in the post right about now is the one that usually scares us out of our winter coma. Its a flurry of urgent activity that scares us to get back in shape yesterday! Now is an awesome time, while weekend activities are low and there is less urge to socialise to quietly work away on yourself. Winter is the perfect time to take care of our bodies and you'll be confident to pop the shorts and t's on without a second thought the minute the weather warms up. So your first wedding invite for summer has just gone up on the fridge. Now what...Whether your goal is working toward an event, a holiday, a fun run, a competition, or a fitness or body composition goal, this will give you the destination to type into your GPS! You need to have a place to aim for. Break this down into bite size pieces by each month, week, and day. Identify your potential roadblocks or problems in advance so when they show up you know what to do! Roadblock example: I book for evening classes but when I get home I don't want to go back out. Tip- head straight to the first training session available on your way home. Tip #2: Organise your training for the week ahead of time. Head to class before work to keep you on track with nutrition for the rest of the day... or alternatively, head to Punch Love straight after work rather than home first (otherwise you may go home and not want to head back out again). Booking ahead means you are less likely to not go. It definitely helps to have someone to share your journey, holding you accountable, someone who is going to push you along and talk you into coming to the next class. Just remember the old saying - " you never regret a workout you go to ... but always regret the ones you 'should have' but didn't"
It's really easy to slip back into old habits without even noticing. You think you're eating healthy, and most likely you are. However the first things to go south are the portion sizes, the second serves creep in and then its glasses of wine by the fire, comfort foods and hot apple pies desserts when its cold. Have your gym bag ready to go the day before, that way if your training in the morning it will give you that little bit of extra time to sleep in, or if your coming straight from work it will ensure you don’t forget your workout shoes. How good does it feel having some fresh new kicks and active wear to put on. I know I look forward to working out in my 'something new' It gives you that extra boost of motivation. Go out and treat yourself to something new, this can also be a good reward for reaching your goals. Plan ahead and utilise winter rather than going into hibernation, glued to Netflix and eating comfort food! The days go by anyway and so will each meal. Take each day on its own and commit to making great choices for training and the meals you eat now and you'll be reaping the rewards in just 10-12 weeks time. Summer is on its way... it happens every year with out fail! !